Explaining a concept that’s formed around the written-word through pure numbers is a hard game to play. Better yet, it’s challenging to excite others around you of the powerful impact content marketing can have on a business, when they’re still stuck in the “traditional” age. When it comes down to the bottom line, all that matters when you’re going through your monthly round-up is how it all translates into those big, green dollar bills. Firstly, conveying the importance of content marketing to others means understanding on your end exactly why this field has become more than just a buzzword. This means delving into how it has come to play such a crucial role in modern marketing overall and why the concept is only just beginning to explode at an unimaginable rate. If you were to put it into an elevator pitch, it’s likely you’d spurt out something along the lines of “brands don’t control what content is absorbed, users do”—no longer are businesses the sole drivers of what consumers choose to engage with, find interesting or take action on; the control is completely in the hands of digital users across the globe. So use this to your advantage. In a nutshell, this shift in control means businesses have to get more creative in how they garner audience attention. For strategists, this means adopting campaigns—like content marketing—to better engage with audiences that would otherwise be unreachable. The hardest part is convincing others—be it upper management or a client—that this is a tactic worthy of funding. Is the campaign saving the brand money? Is the brand acquiring new customers? Is the retention rate being positively influenced? It’s likely that when you collate a report to answer these must-knows, that much of the detail you pour into it won’t be read by the eyes that matter most (e.g. your CEO). That’s okay—what matters is the key metrics you decide to include; so make these stand out. Choosing these numbers is a whole other matter, but the foundation is formed on avoiding the “vanity” of metrics and sticking simply to what is required. Don’t overwhelm the report with digits that do nothing but confuse and frustrate—cut to the chase and report on those that pack a punch. Visits to your website have gone up, great, but how is the content performing to turn those visits into conversions? This is where you’ll need to check out those dreaded bounce rates in your analytics and pinpoint exactly what content is turning users away, rather than keeping them loyal. If this rate is uncomfortably high, there’s a fair bit of work to do in terms of the content you’re currently creating and promoting (if any). For content marketers that are trying to pitch a strategy directly in relation to this, it’s exciting news—it opens up doors to proving how purposeful, sales funnel-orientated content can assist with target audience conversions. A lower cost per lead. Remember the process is an ongoing cycling of being committed and dedicated to gathering purposeful data. Aim for results gained, instead of pure analytical activity, and you’ll nail communicating the advantages at your next executive meet-up. 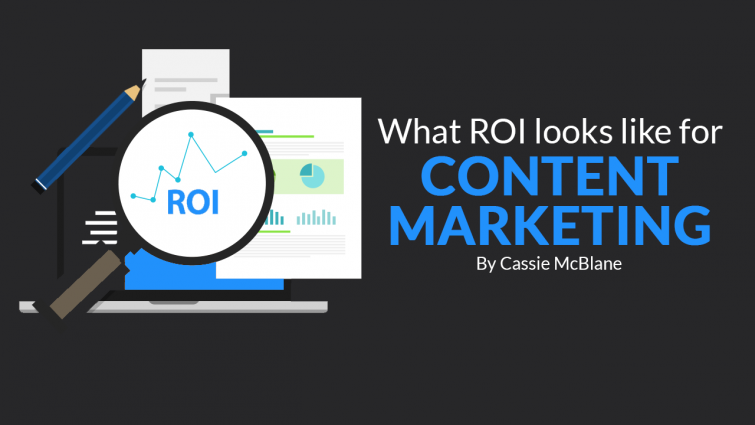 Cassie McBlane is a published writer, blogger and content marketing expert. Based in Australia, she dedicates herself to constructing and managing digital strategies that are built on the power of the written word.